Kiahuna Golf Club Hole 2 (below): The claim to fame of this hole is that it is the home of a species of blind wolf spiders that can be found nowhere else on earth. This system of caves and lava that plays host to these spiders is in play on the drive and native grasses flank the entire right side of the hole. Kiahuna Golf Club Hole 11: This short dogleg left entices the golfer to cutoff the corner of the lava to have a go at the green, which is well below him. If the trades are light, the option is a real one, but fraught with danger as anything left it out of bounds. The green slopes away from the player and anything too long will catch unplayable jungle-type lies behind the green. Kiahuna Golf Club Hole 12: A long and unforgiving par three requires an accurate tee shot over the natural creek. Anything short or right will most likely find it. However, an over compensating shot will find bunker, lava-bottomed flower beds or OB to the left. 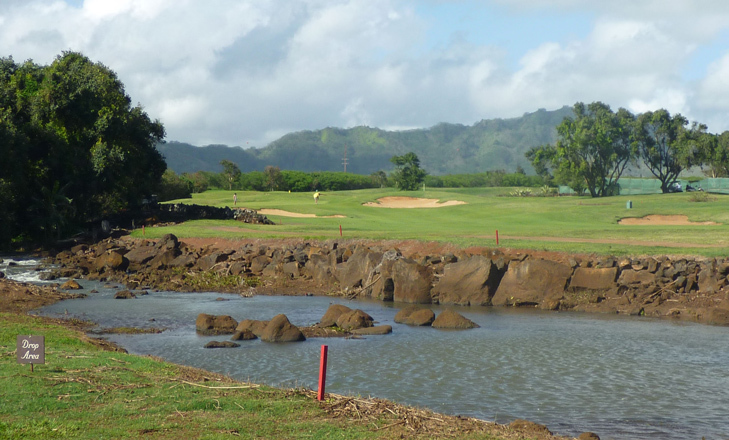 Kiahuna Golf Club Hole 13: The drive on this par four must clear the creek and avoid jungle left. The hole swings left, keeping the jungle close to the green site. If the trade winds are blowing, both shots will be blown towards the danger, requiring two long, accurate attempts. Keep Reading More Kauai Golf Reviews. 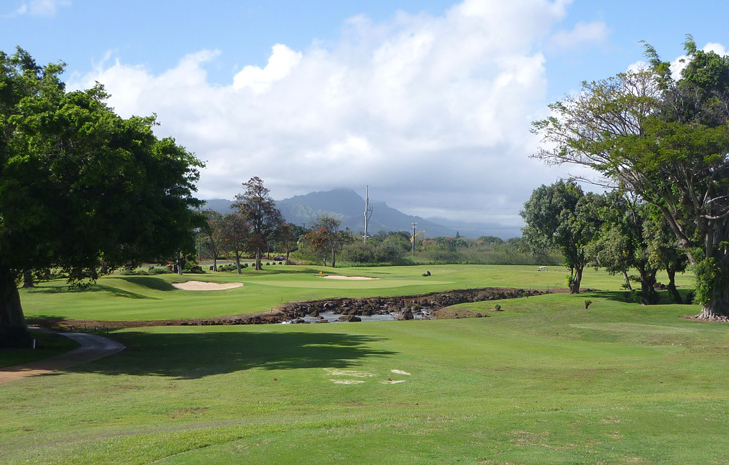 Can't get enough of Kiahuna Golf Course Reviews? Check out TripAdvisor next.